Do you have a question about our services and how we can help you? Check below for the questions that we are frequently asked – and our answers! If you don’t see your question, please email us or call us at 425.746.1334425.746.1334. Q: Will you help us move no matter where we are moving? A: Yes, we work anywhere in the U.S. Travel charges may apply outside the Puget Sound area (Seattle / Bellevue / Redmond / Mercer Island, etc.). A: Because each client’s situation is different, services are customized for each move and are individually priced. We will work with you to determine the best way to achieve the results you want in the timeframe that works within your schedule. You will be given a complimentary one-half hour consultation and a written estimate for the services you select. Q: How do you know where to put my belongings when you unpack them? A: We will discuss your preferences during your initial consultation. You may be there directing us while we’re unpacking, you can draw us a “map” of your vision for the organization of your things or we may take pictures. Otherwise, we use a combination of esthetics and ergonomics to help you decide where your things are best placed in your new home, based on your family’s lifestyle and favorite belongings. Q: Why wouldn’t I use a mover to pack and unpack my things? A: There are instances when you would. It depends on the items, size and timeline of your move. This is one of the decisions which will be discussed when making your customized plan during your complimentary in-home consultation. Regarding unpacking, the “unpacking” service that movers offer is much less comprehensive than what we offer. A mover will remove your items and place them on countertops, tables, etc. until they have run out of room to continue. It is possible – even likely – that most of your boxes would not be unpacked using this method. SEAMLESS MOVES will take everything out of the moving cartons and put things away in their proper locations, neatly and organized. 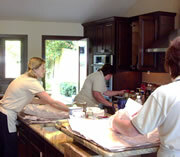 What we do is sometimes called “maid service” or “third party service” in the moving industry. Q: I moved a couple of months ago but never fully unpacked or got organized. Can you help? A: Absolutely! Unpacking and organizing for your current home and lifestyle is our signature “Seamless Moves” service. We have many clients who moved in a rush, and put things wherever space was available at the time just to get through the move. Unfortunately, it is hard to find time to go back and reorganize. SEAMLESS MOVES specializes in evaluating your belongings, your space and your family’s lifestyle to determine where your belongings should be placed for their optimal use to YOU. Q: What happens to the paper and boxes? A: SEAMLESS MOVES can remove all moving cartons, paper and packing materials that you don’t want when we leave. Materials are recycled whenever possible. Q: Why can’t I move myself, or have my housekeeper, nanny or assistant do it? A: Of course you can. Although…if you have moved before, you know how exhausting and time-consuming it is. Many people have boxes that haven’t been unpacked from two moves ago! Wouldn’t you rather be at work or your children’s soccer game than dealing with the details of settling into your new home? We are happy to work with your housekeeper, nanny or personal assistant to make the process go quickly and smoothly so that they may also return to their responsibilities in a timely manner. Only YOU can decide the value of having professional, efficient help during the time consuming, stressful, life-changing event that is moving. Q: I’m not sure I’d be comfortable with strangers looking through my personal items. Q: I need to manage my parents’ move, but I live out of state and have very limited time. A: SEAMLESS MOVES has experience helping adult children organize moves of this nature, even long-distance. 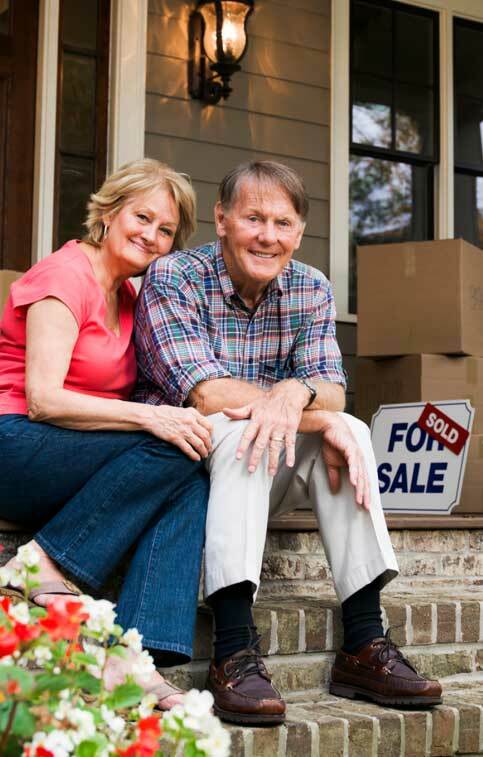 We have even, in emergency health and short time frame situations, worked with our clients, their health-care workers and retirement community personnel to expedite a move using our extensive experience to set up their new home with their favorite and most-needed items. Your parents’ new home will be comfortable and safe. We even hang their favorite pictures! Q: Do you have gift certificates for SEAMLESS MOVES services? Q: How can I get a gift certificate? A: A SEAMLESS MOVES gift certificate can be purchased in two ways: A package can be customized to provide organizing, downsizing, packing, unpacking, or move management services, depending on the recipient’s circumstances. Gift certificates can also be purchased for a set dollar amount, to which the recipient may add if they wish. Simply call 425.746.1334 or Contact Us with your request. Q: Where were you when I moved months ago? A: We get this question so often! Remember how exhausted you were the last time you moved? And how long it took to get that last box unpacked? Do YOU still have unpacked boxes? Be sure to tell your family and friends who are moving about our service, so they don’t have to ask that question, too!